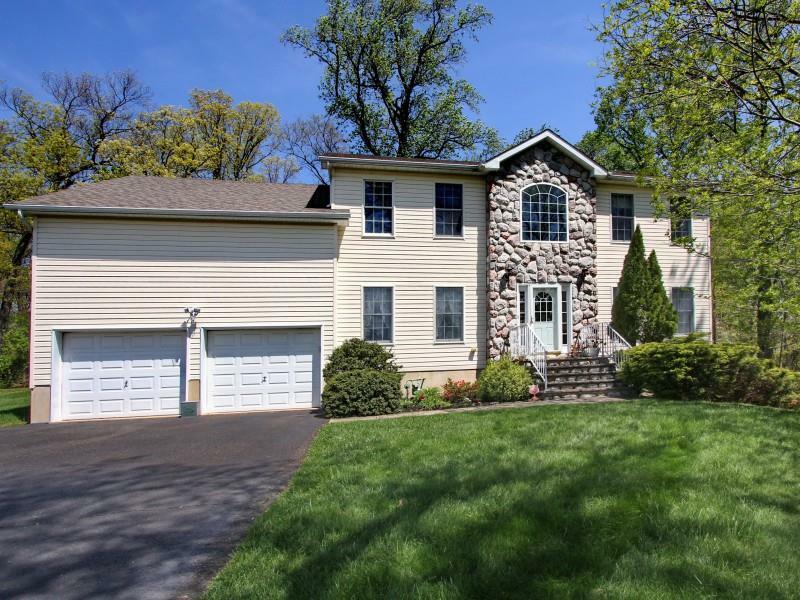 IMPRESSIVE, Well designed 5 BR Colonial with nearly 3100 square feet of living space at end of private cul-de-sac. This home offers a 2-Story Foyer & a modern open floor plan for easy living and entertaining. This home boasts spacious rooms, a 5th BR on 1St Fl, a well appointed eat-in-kitchen that opens to a spacious family room with fireplace and french doors leading to an elegant living room, a magnificent master bedroom suite with vaulted ceilings, a large sitting room, his and hers walk-in closets and luxurious bath. Backyard is spacious and private with plenty of room for Swing Set and great for outdoor entertaining. Key rooms freshly painted. New Air conditioning in 2014. Newer Hot Water Heater. Busing to all Schools K-12. Excellent School System! Incredible Value! Must see to Appreciate the Value of Sized Home. Convenient to Everything!